Water Sentry Model RWS300, 1/2 HP, 230V, 3-Wire, Deep Well Submersible Pump, 230 Volts, 6.0 Amps, 10 GPM, 1¼" NPT Discharge, Designed To Fit Inside 4" ID Or Larger Pipe/Well Casing, Corrosion-Resistant Stainless Steel Motor Enclosure And Pump Shell, Stainless Steel Fasteners. 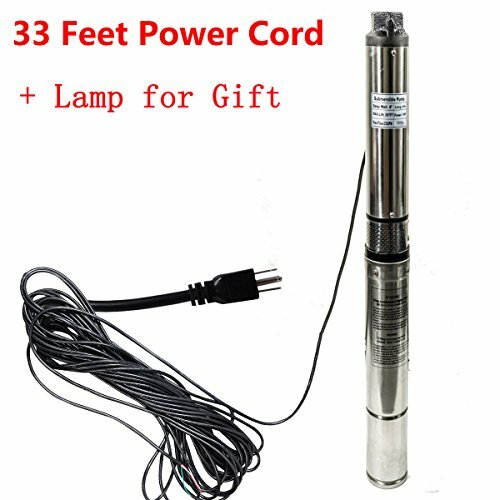 1-1/2 hp 230V 3-wire high performance 4" water well submersible pump with 1-1/4" font discharge connection, includes built-in check valve, provides smooth water passages for maximum efficiency; stainless steel splined shaft; hermetically-sealed windings; self-healing resin system; integrated check valve; Kingsbury-type thrust bearing; pressure equalizing diaphragm; removable water-bloc lead connector; nema mounting dimensions; stainless steel inlet screen; up to 22.3 gpm. Water Sentry Model RWS302, 1 HP, 230V, 3-Wire, Deep Well Submersible Pump, 230 Volts, 9.8 Amps, 10 GPM, 1¼" NPT Discharge, Designed To Fit Inside 4" ID Or Larger Pipe/Well Casing, Corrosion-Resistant Stainless Steel Motor Enclosure And Pump Shell, Stainless Steel Fasteners. Pre-cut 125 ft length of 12 gauge solid copper, twisted submersible well pump wire. 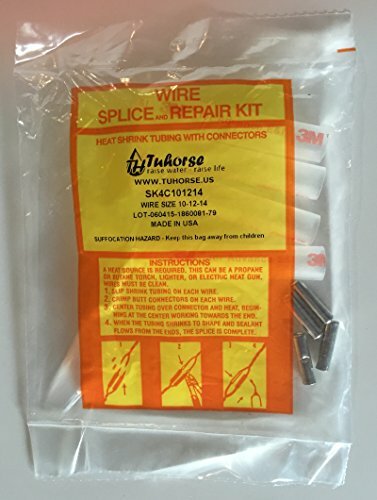 This wire is for use on a 2 wire well pump system that does not use a control box. The wire colors are red, black, and green for the ground (There are three wires in total). The individually insulated wires are twisted together, but there is no outer jacket. The wire is UL Listed per UL83 Type THW as Deep Well Submersible Pump Cable. 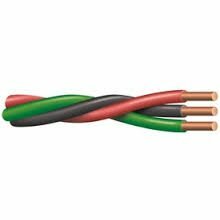 The copper wire size is 0.0808", the insulation thickness is 0.045", and the twisted nominal outside diameter is 0.369". The insulation material is PVC. The operating temperature range is -40C to 75C. Copyright © Wholesalion.com 2019 - The Best Prices On 3 Wire Deep Well Online.